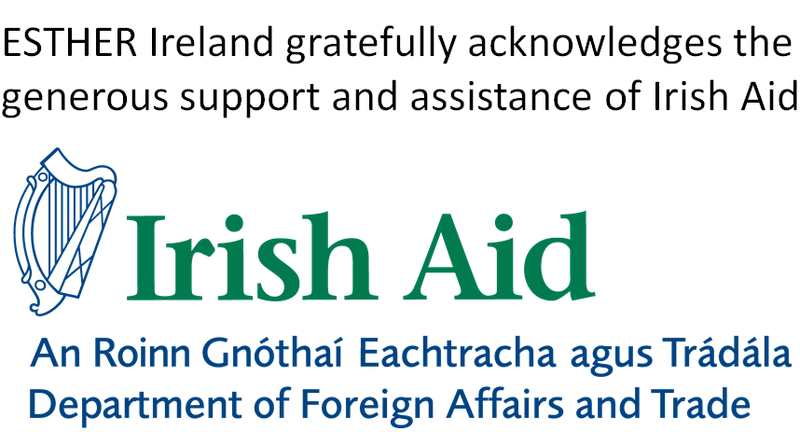 These information resources will be of use to those interested in building the type of partnerships ESTHER Ireland is involved in, and you will find items such as guideline documents, founding principles, practical tools for partnership creation, and monitoring and evaluation. This page is updated regularly with any new or useful items. 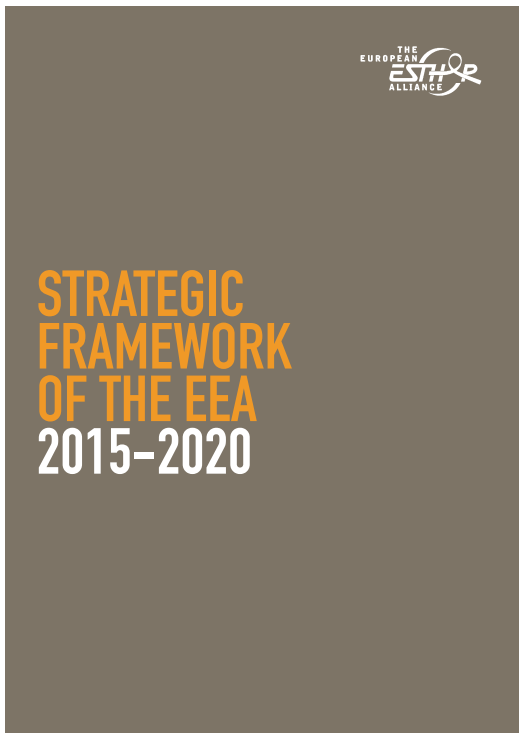 European ESTHER Alliance Strategic Framework 2015-2020: this document sets out the EEA’s overall strategy for the next five years. 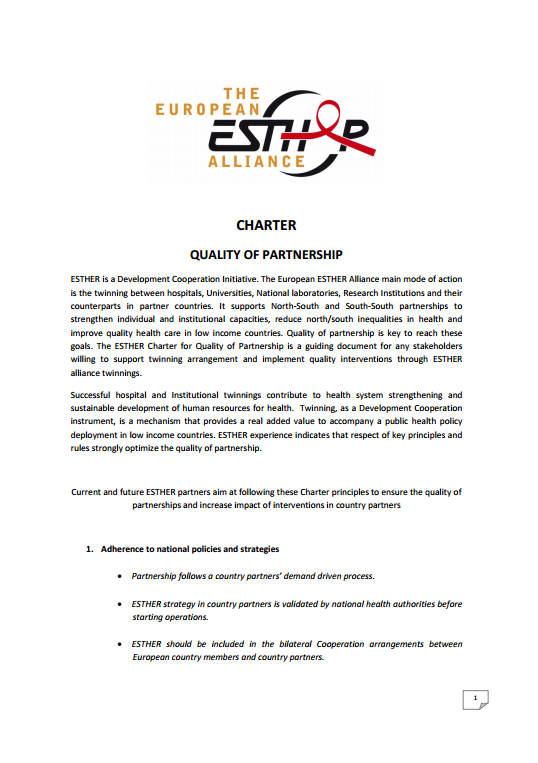 ESTHER Charter for Quality of Partnerships: a guiding document for any stakeholders willing to support twinning arrangement and implement quality interventions through ESTHER alliance partnerships. 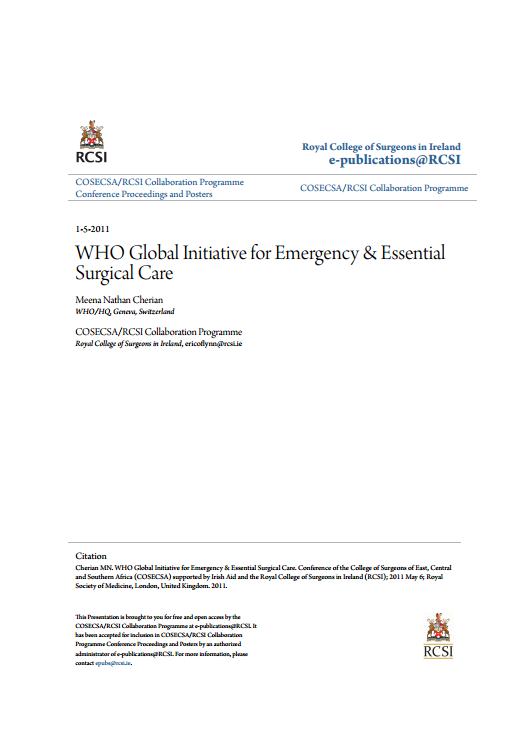 THET International Health Links Manual: a guide to starting up and maintaining long-term international health links, from the UK’s Tropical Health Education Trust. 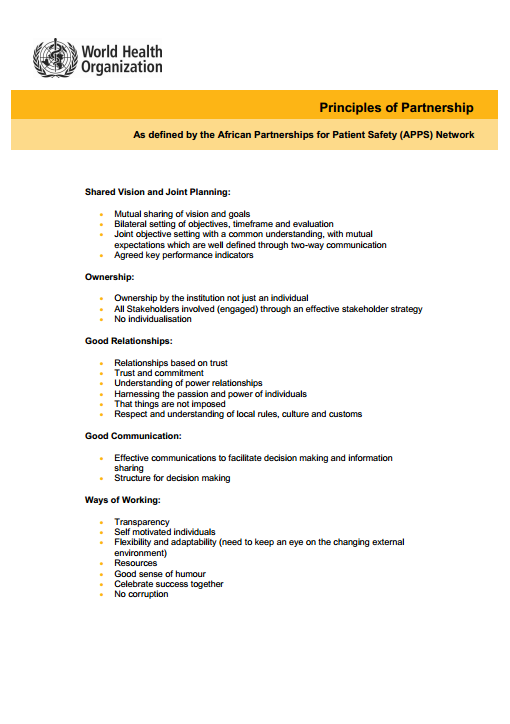 WHO-APPS Principles of Partnership: outlines the guiding principles of forming quality health partnerships for improved patient safety, from the World Health Organisation’s African Partnerships for Patient Safety programme, WHO-APPS. 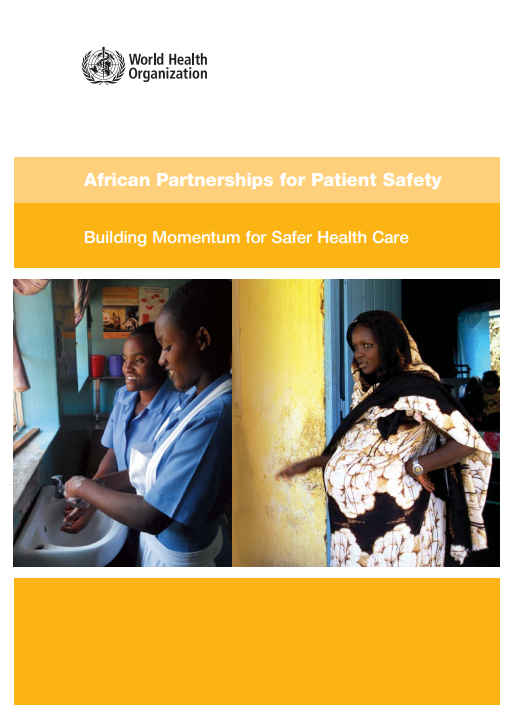 WHO-APPS Building Momentum for Safer Health Care: an overview of the African Partnerships for Patient Safety programme, outlining some key elements of programme implementation, highlighting the challenges that still lie ahead and emphasizing the growing momentum for action. 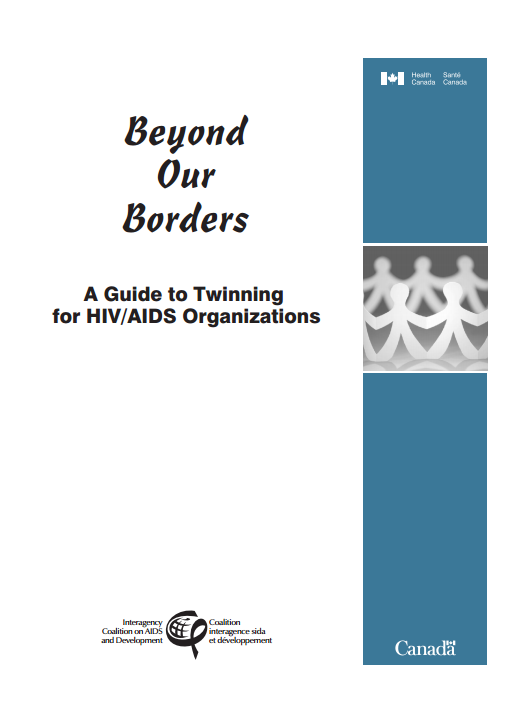 Beyond Our Borders: A Guide to Twinning for HIV/AIDS Organizations, Health Canada and Inter-agency Coalition on AIDS &Development: a response to requests for information on how to facilitate “cross border” learning and action on HIV/AIDS, a single source of basic information on planning and implementing twinning projects. 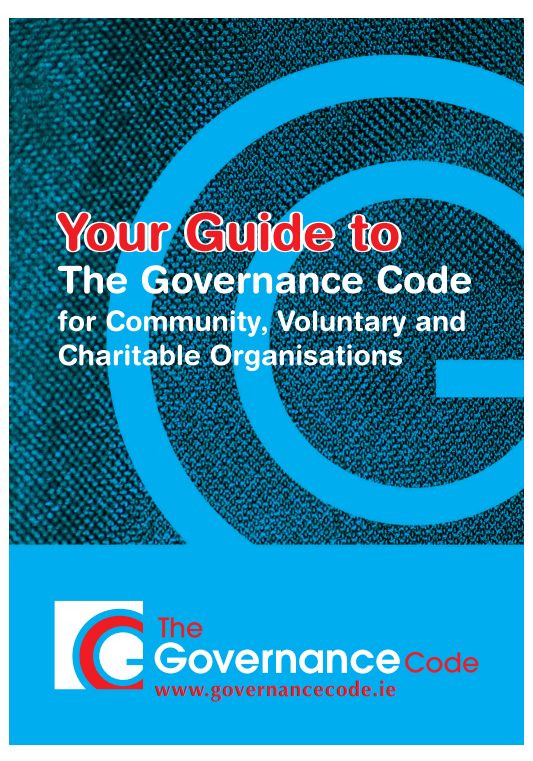 The Governance Code: a voluntary code of governance and implementation guidelines for charities and community groups in Ireland. 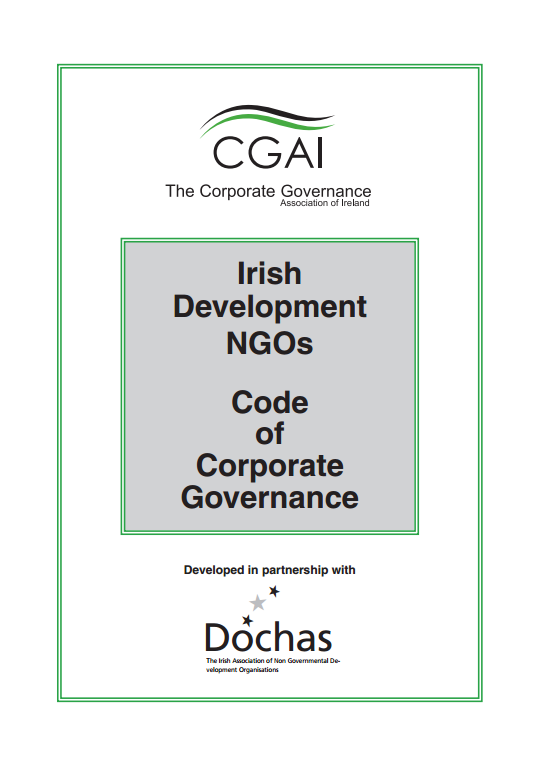 Irish Development NGOs Code of Corporate Governance: a code to determine and formulate standards of best practice in corporate governance applicable to the Development NGO sector with a view to strengthening the impact and quality of Development NGO work and enhancing stakeholder confidence in the sector. 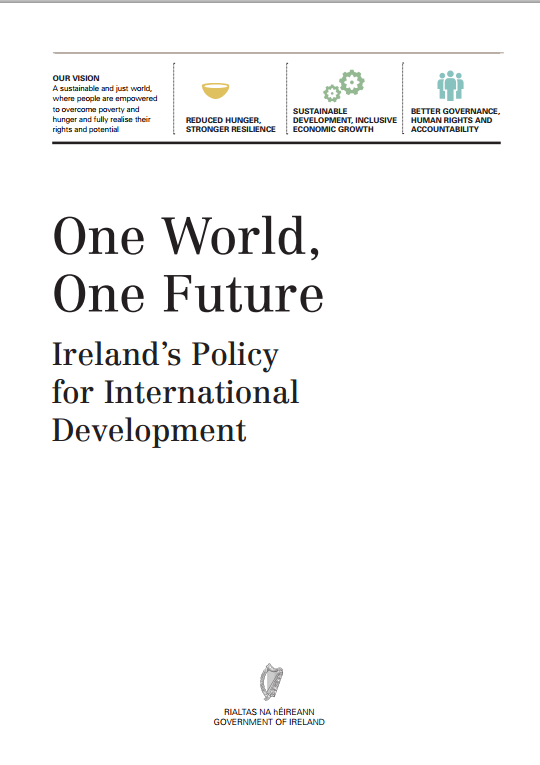 One World, One Future: Ireland’s Policy for International Development sets out a vision of a sustainable and just world, where people are empowered to overcome poverty and hunger and fully realise their rights and potential. 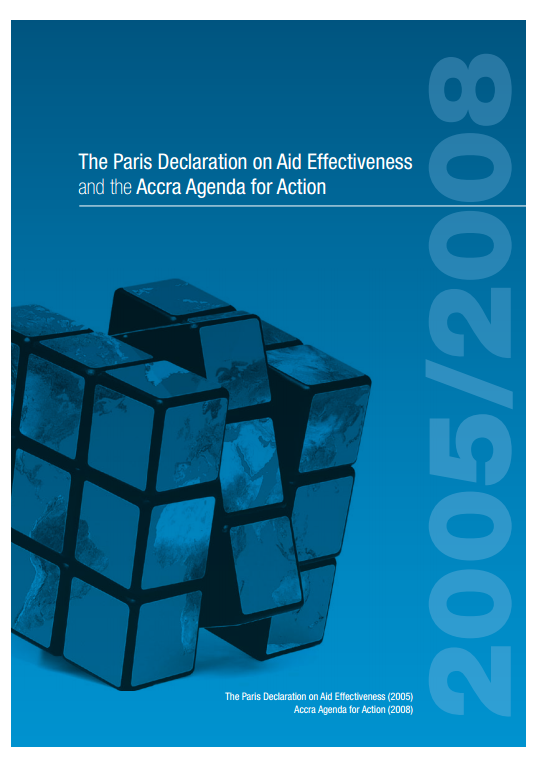 Paris Declaration on Aid Effectiveness: Declaration to harmonise and align international aid efforts with a focus on mutual accountability and efficacy of international aid. 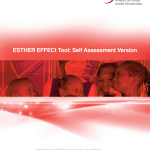 The ESTHER EFFective in Embedding Change tool (EFFECt) : This tool was was developed by partners at Capacity Development International to help insitutional health partnerships to assess their current practice and how they embed change within institutions. It aims to provide a framework that lets institutions measure their effectiveness in sustaining change. 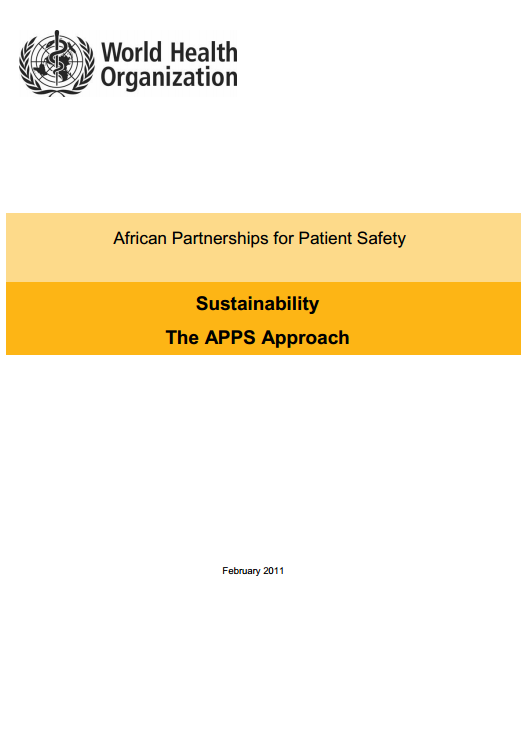 WHO-APPS Tools and Resources: a series of tools to support the planning, implementation and review of patient safety improvement across the African setting. 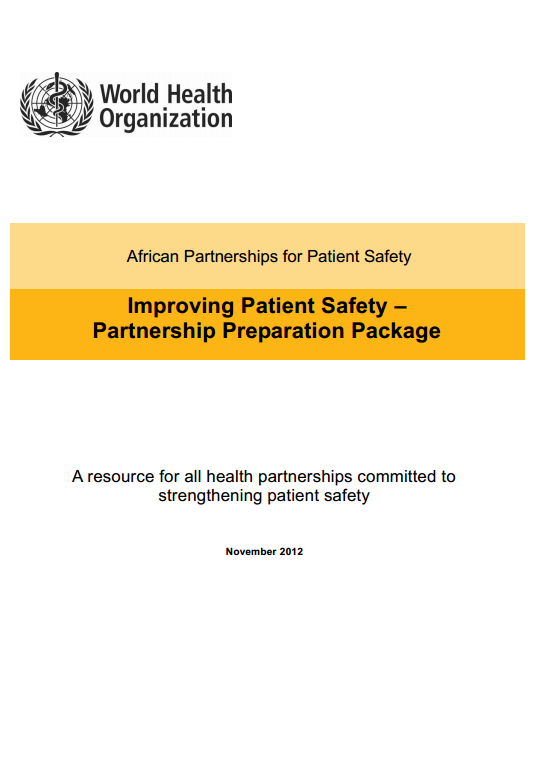 WHO-APPS Preparation Package: an overview and simple step-by-step framework to help hospitals and partnerships to undertake systematic patient safety improvement. 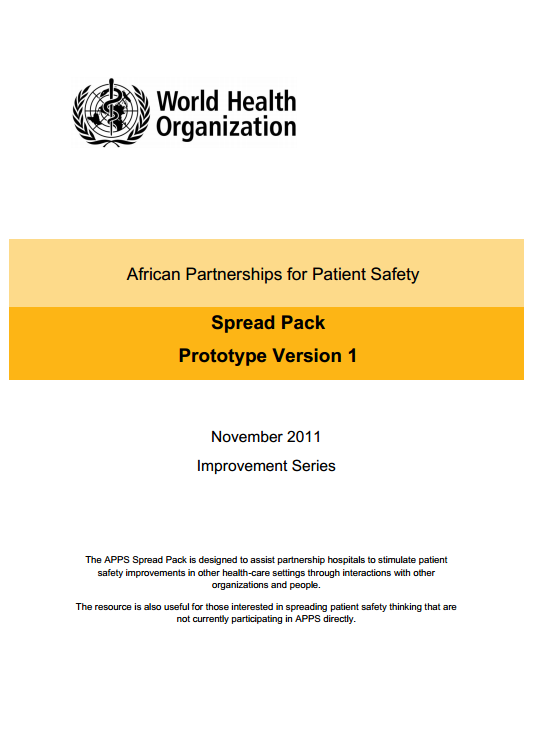 WHO-APPS Spread Pack: enables APPS hospitals to spread patient safety technical improvements and activities to hospitals in the national health system. 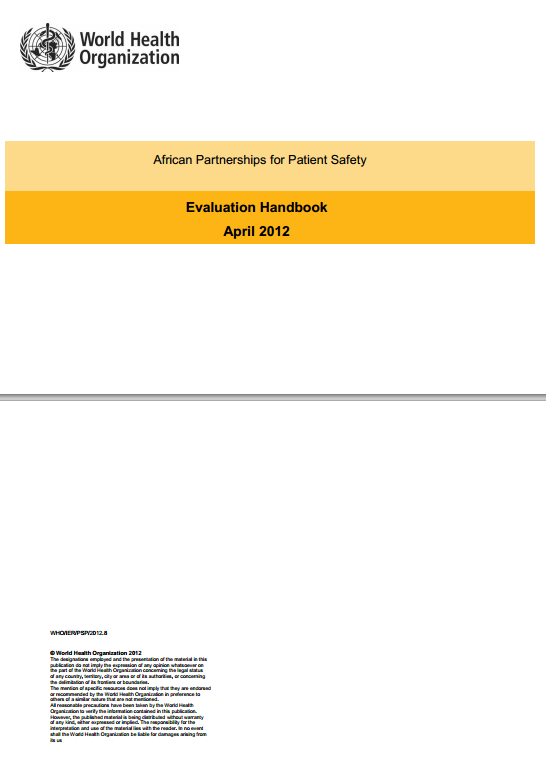 The package allows any hospital in the developing world to undertake patient safety action. 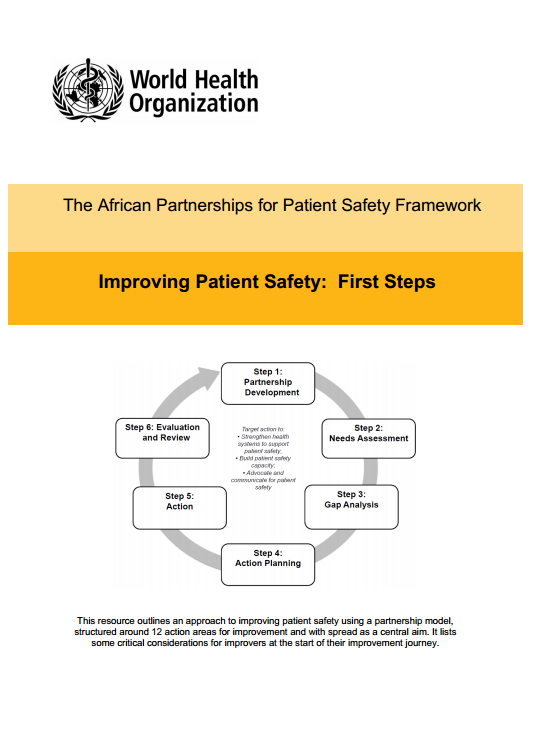 WHO-APPS Improving Patient Safety: First Steps: an approach to improving patient safety using a partnership model, structured around 12 action areas for improvement and with spread as a central aim. 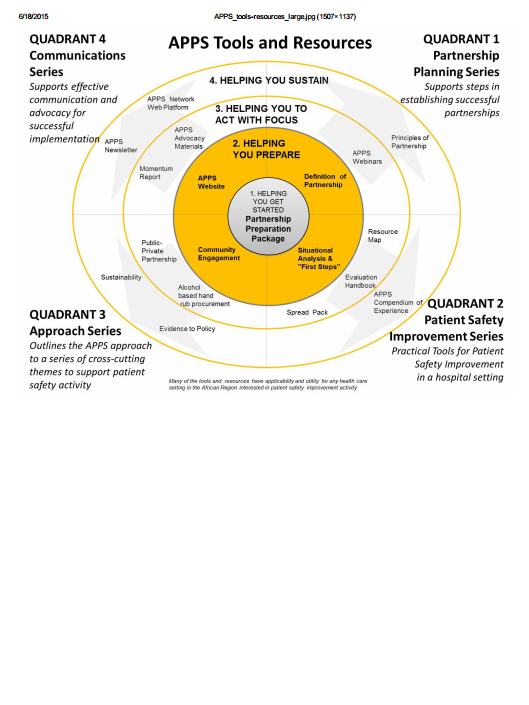 It lists some critical considerations for improvers at the start of their improvement journey. 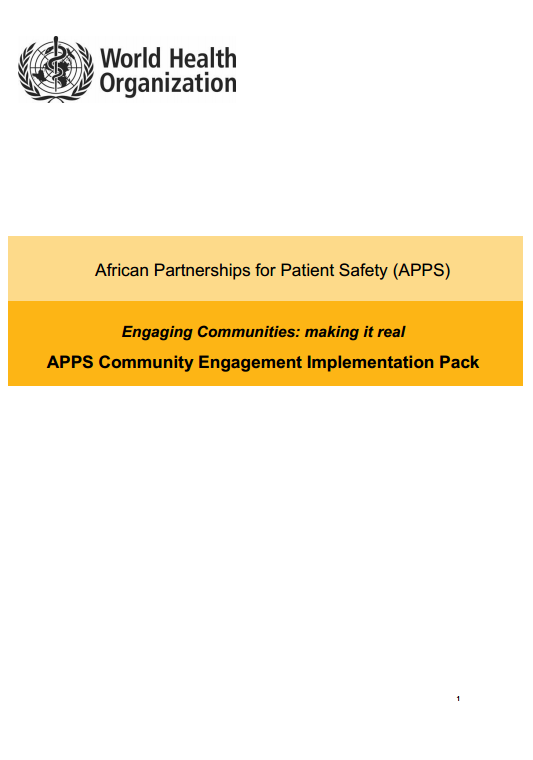 WHO-APPS Community Engagement Implementation Pack: provides APPS hospitals with systematic assistance in developing and maintaining community engagement mechanisms. WHO-APPS Sustainability Pack: provides an approach underpinned by the need to generate resources and resourcefulness in order to develop multiple programme strands over a period of at least five years. It outlines a mechanism for sustainability to ensure the programme changes endure over the long term. 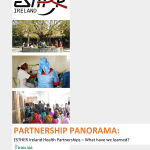 Partnerships Panorama: ESTHER Ireland Health Partnerships – What Have We Learned: distils key lessons and good practice in partnerships from the ESTHER Ireland Small Grants Programme. WHO-APPS Evaluation Handbook: provides guidance and structure to the APPS evaluation process for partnership hospitals in the programme. 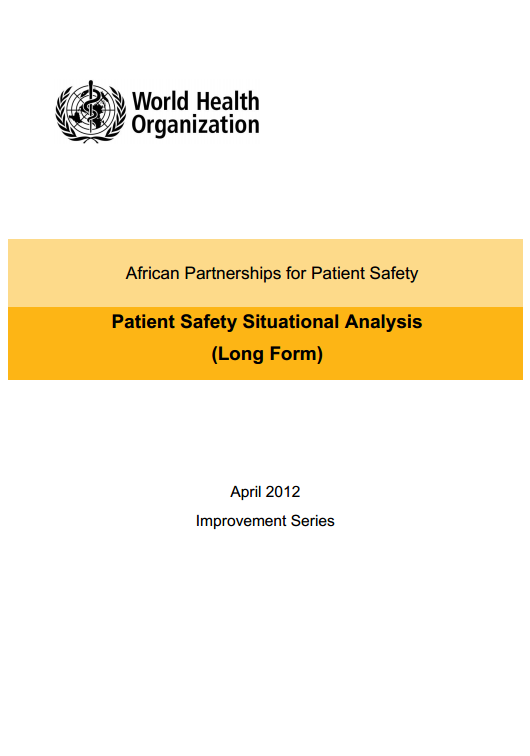 WHO-APPS Patient Safety Situational Analysis: provides a structured method of undertaking a needs assessment or gap analysis, and at the same time enables strengths to be identified. COSECSA archive: lesson learned to-date: these submissions detail experiences and lessons learned from partnership work conducted by the College of Surgeons of East, Central and Southern Africa. 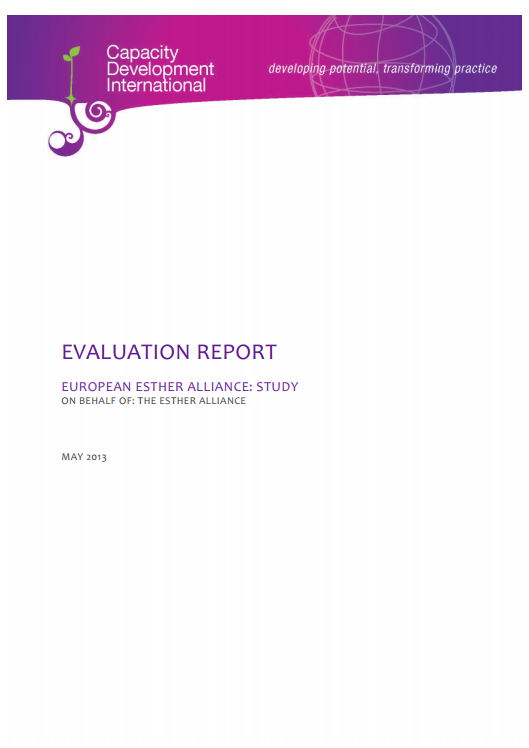 Evaluation of European ESTHER Alliance: An evaluation of the added value of institutional partnerships for health, the added value that the Alliance brings to such partnerships and the future options for the Alliance.